Exciting! It was fun playing dress up and featuring some of this season’s hottest trends. I hope you’ll watch our episode! 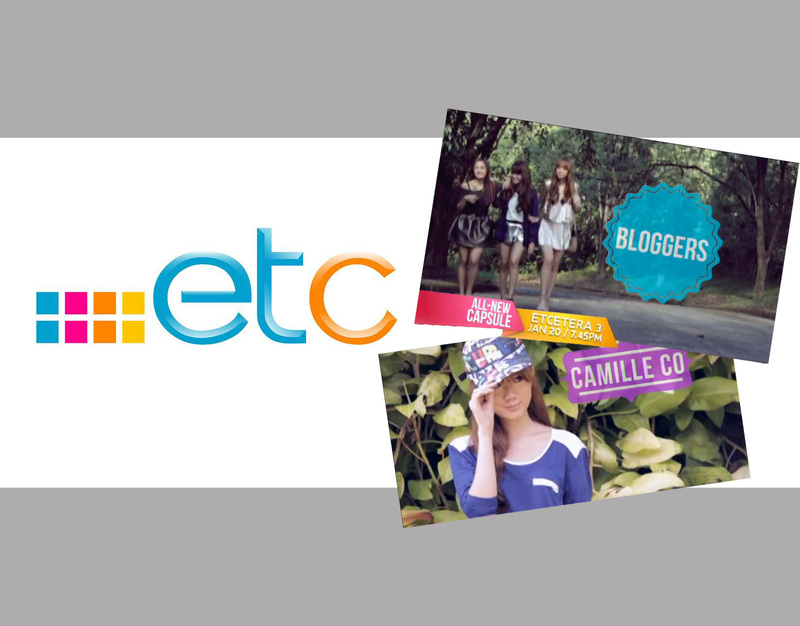 Catch Laureen, Tricia and I on ETC Channel’s Etcetera this Sunday at 7:45 P.M. I was told there will be replays of the show all throughout the week as well. Watched it for three times! I thought you three were going to talk. Oh well! It’s fine. :) Your tips were very helpful and you looked gorgeous as ever. More power to your blog and take care! My voice is too small LOL. ETC saved you from hearing my voice haha! hi! im a huge fan from europe and I wanted to ask if I can watch your show online? I have watched it ! :DD Thank God. It was unexpected but I think its destiny . When I open the TV its on ETC and the timing was there :D I’m a huge fan of you three :D Are you there every sunday or just that episode? Just this episode :) Thank you Dana! I love Etcetera! Same channel but different time slots na. CONGRATS!! but my bad, i missed it.. :( sorry its about to end when i open the tv.. i do my laundry first that’s why.. anyway, ill try to watch the replay..^^ promise..
wow. congrats Miss. Actually, because of ECT I discover you and your sooo amazing. :-) I’ll watch it later. So excited. Thank you CC! :) If I get my hands on the video, I will! Omg. My 3 favorite bloggers <3 will watch it all over again. Hahah. this looks exciting, Ms Camille! I wish I was in The Philippines so i can watch this! =( anyway.. it’s so nice for blogger to appear on tv! proud of you! I will watch out for that! Hi camille! When i first saw the commercial i was not looking at first what i saw first is your shoes and me thinking hey that shoes is familiar.. Oh like camille co’s shoes and still watching and saw you with laureen and tricia. I just told myself i was right and realize i knew you well!!hahaha.. After that i set my phone to alarm! Will watch it on sunday! Yay! :) You do know me haha! Hi Ms. Camille Co!! You’re so adorable! I admire so much. Thank you for being an inspiration. Keep it up!! Haha how cute :) I’m not sure what time the replays are airing though but I’m sure you’ll be able to catch one or two :) Thank you Girlie!